“I feel bad now…I shouldn't have asked you to go there...” commented a friend on the other line. 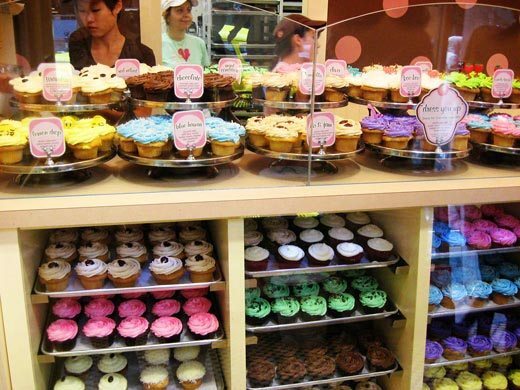 We had gone to a favorite cupcake shop and I had been saying “No” to her prior to our arrival that I made up my mind...I wouldn’t buy anything for me and my family so I requested for her not to buy anything for us knowing how generous she always was. As I turned off the car’s ignition and headlights, the slight darkness of the night surrounded us but the long line of people inside the well-lit bakery didn’t miss our attention. I felt a rush of excitement came over me, anticipating what flavors were offered last night. “I’ll just stay here in the car!” I advised my friend who already opened the passenger door. I knew it was better for me to not even go through that glass door knowing the sweet aroma of cupcakes would greet anyone. But I wanted to be with my friend. I didn’t want to let her go by herself. This was one of our times together that we always shared. “Give me 2 red velvet and 1 dark chocolate,” I ordered. “Don’t feel bad now!” I quickly replied. “I’m just saying that my family and I are trying to cut down on sweets. Of course, I enjoy going there with you,” I reassured. As I said “Good Night”, I thought about my own life.